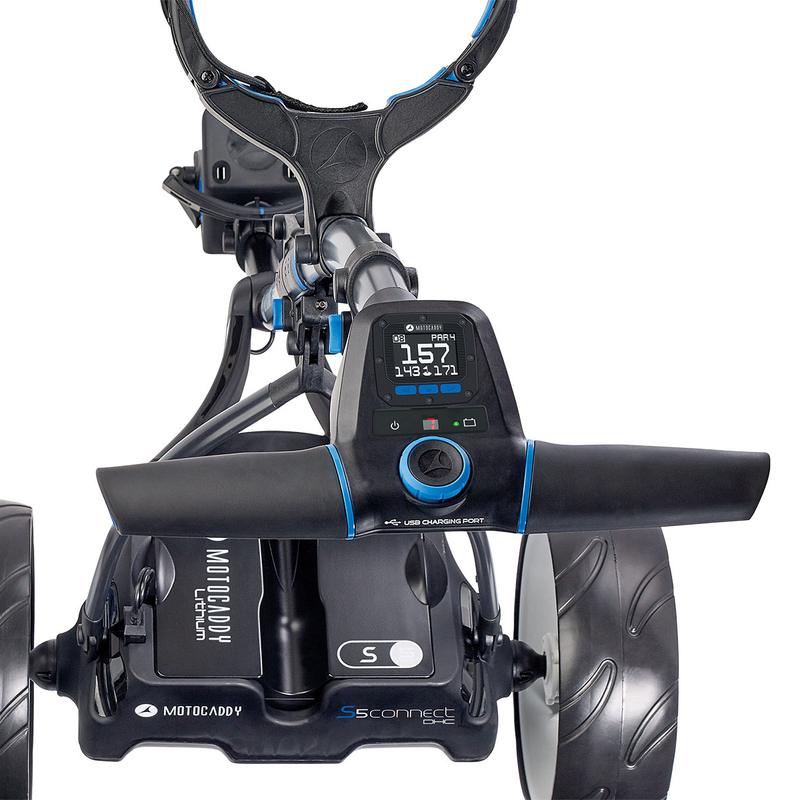 With all the features you expect in a lithium electric trolley, this S5 Connect has elevated its design to a new level, with full smartphone connectivity. 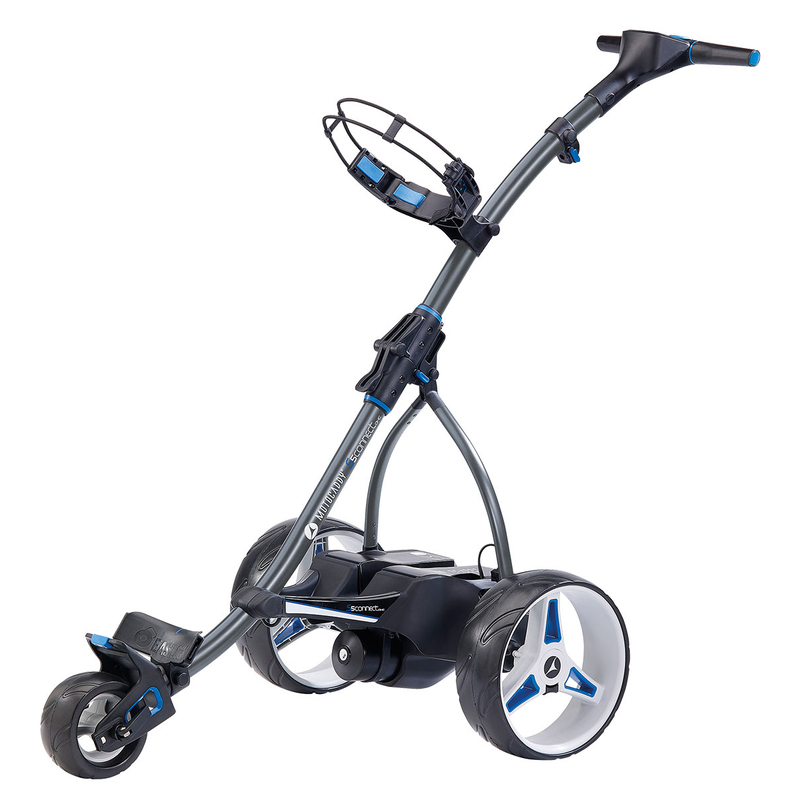 A downhill control function to maintain a constant speed whilst travelling down the steepest of slopes, and an electronic parking brake to prevent your trolley from getting away. Simply connect to your smartphone and this trolley suddenly is everything you need and more. 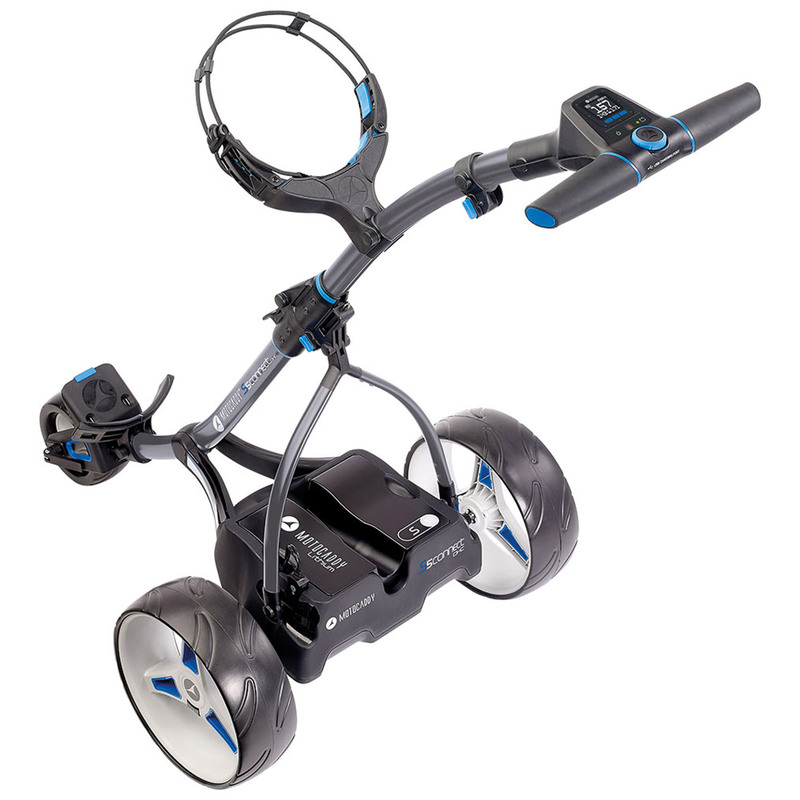 Utilising the worlds number one mapping database, this trolley will display GPS information including distances to the front middle and back of the green plus hole information. It also displays a clock and provides a round timer so you know what pace you have been playing at. Other push notifications including texts, emails, missed calls and other app alerts. All the notifications are customisable, so you have complete control of what you would like to see. 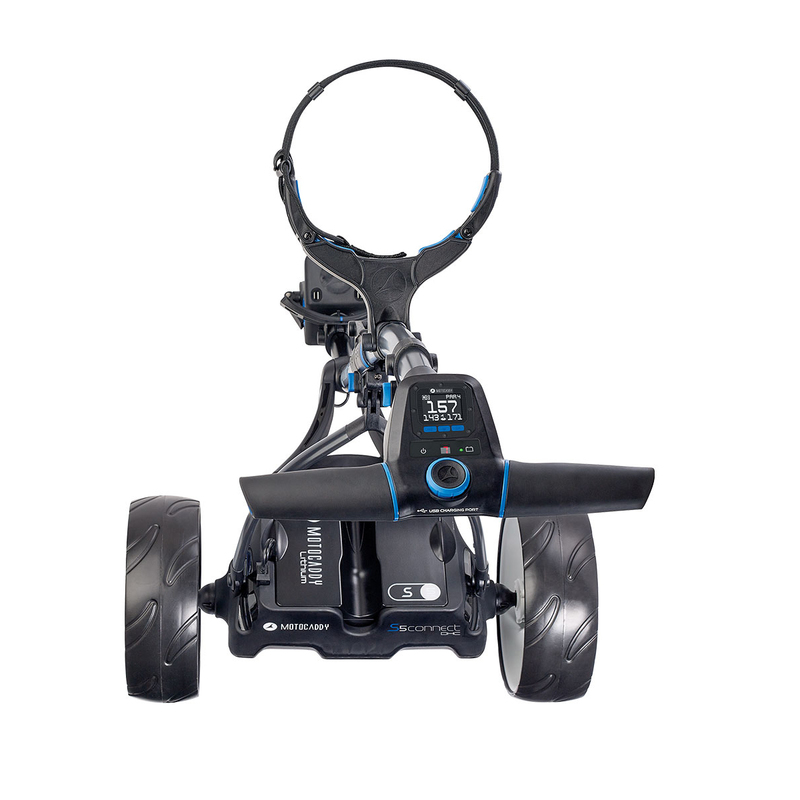 An adjustable distance control (up to 45m) feature lets you to control how far you would like the trolley to travel on its own before stopping. This trolley will also travel at whatever speed you prefer to walk thanks to the nine speed settings. The stream lined battery tray enhances the design allowing the battery simply click into place. The QUICKFOLD mechanism makes it more convenient to get in and out of your car. It is also EASILOCK compatible and is complete with a soft-touch ergonomic handle.